Science is my passion; I demand scientific rigour and evidence for the claims our products make. The Bioactive Collagen Peptides® we use are a composition of different peptides optimised for specific physiological benefits. The peptides are derived from a highly controlled patented production process of collagen, which is determined by hydrolysation conditions. 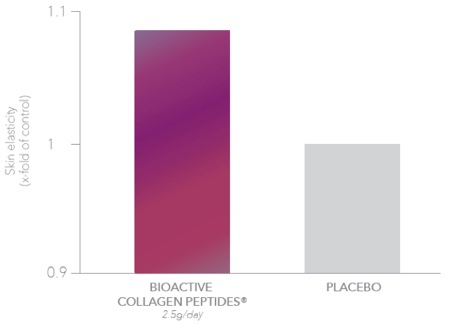 As a result these Bioactive Collagen Peptides® differ in physiological functionality to other sources of collagen. 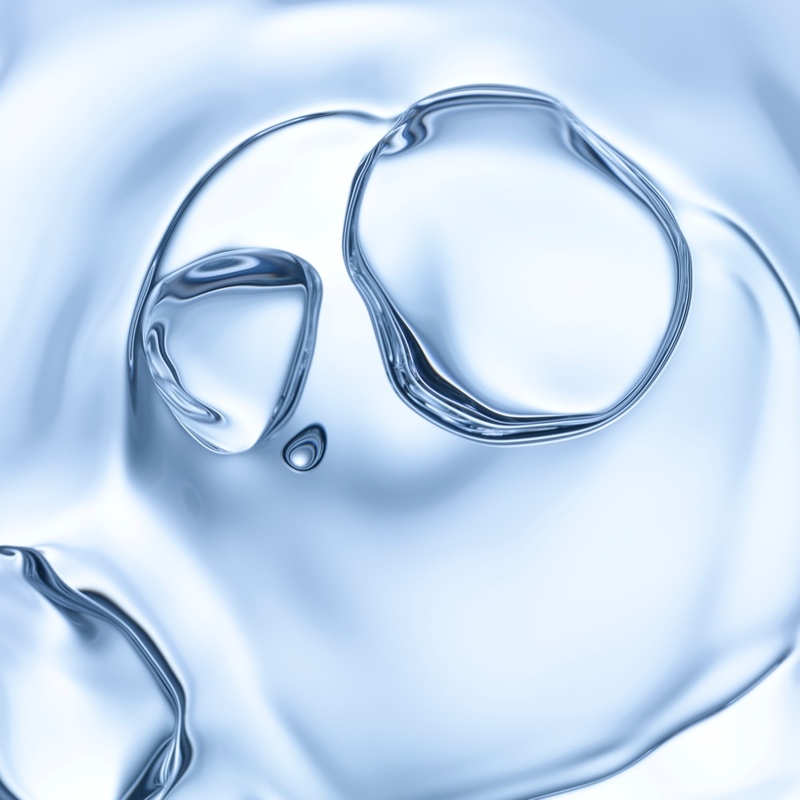 They are optimised to maximum stimulation of the human cell types involved in collagen biosynthesis. 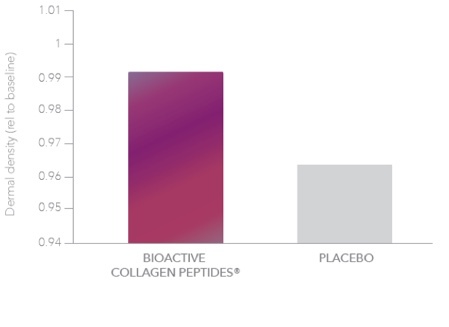 The specific fraction of Bioactive Collagen Peptides® we use in Collagen& has been proven to support our beauty claims in high quality clinical trials. 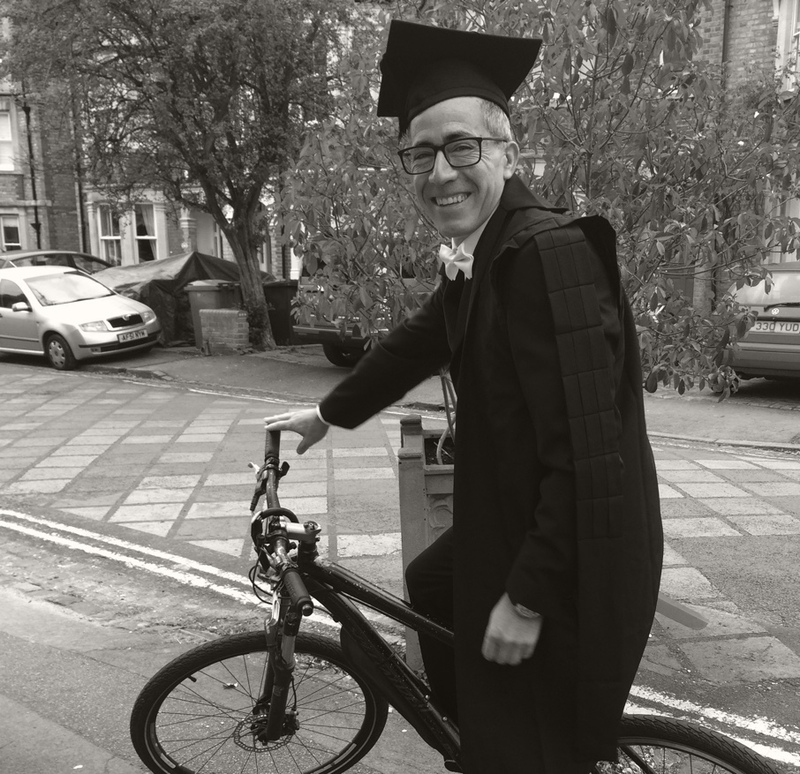 The clinical evidence was obtained in double blind, randomised, placebo controlled clinical studies (RCTs), the gold standard in clinical research and as a result the studies have been published in peer reviewed scientific journals. This is vital because it sets the quality of evidence for Bioactive Collagen Peptides® light years apart from the evidence backing other sources of collagen. Bioactive Collagen Peptides® can stimulate skin metabolism and counteract the loss of collagenous extracellular matrix from the inside. Those who ingest natural Bioactive Collagen Peptides® orally can experience noticeably firmer and smoother skin with fewer wrinkles. The positive effect of Bioactive Collagen Peptides® also shows in an improved skin surface structure, reducing cellulite and a faster nail growth with reportedly less chipping of fingernails. 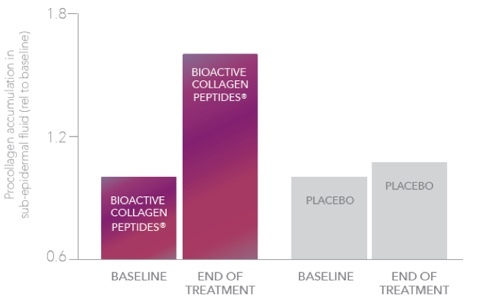 A study with 69 women aged between 35 and 55 years revealed that the specific Bioactive Collagen Peptides® used in Collagen& leads to significantly higher skin elasticity – up to 15% – compared to placebo treatment. This effect could be measured after just 4 weeks of treatment and persisted after 8 weeks of taking. Another study with more than 100 women aged between 45 and 65 years shows that in ingesting the specific Bioactive Collagen Peptides® used in Collagen& (2500mg/day) significantly reduces wrinkles after 4 weeks and leads to a significantly higher skin pro-collagen concentration. A study with 105 women aged between 25 and 50 years shows that the daily oral intake of 2500mg of the specific Bioactive Collagen Peptides® used in Collagen& significantly decreases their cellulite score. 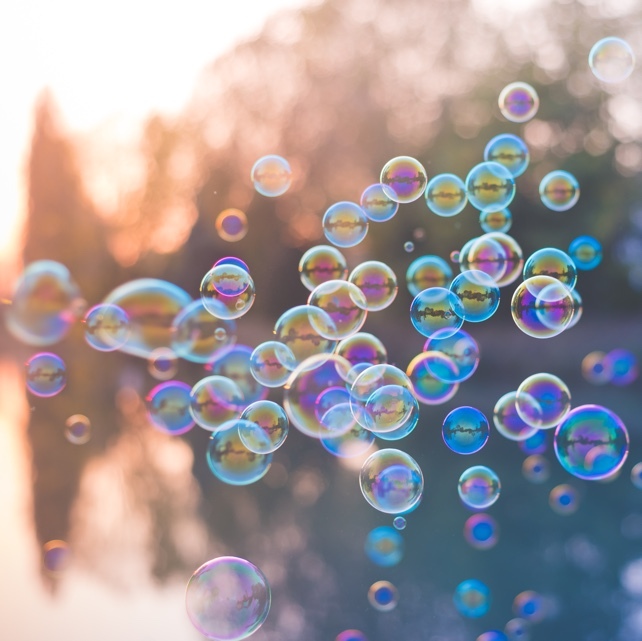 The effect was measured after 3 and 6 months supplementation, which also showed the beneficial effect on skins extracellular matrix, restoring the normal structure of the dermis and subcutaneous tissue.